Merriott Builders Ltd prides itself on its reputation. The majority of our work is repeat business and recommendations. 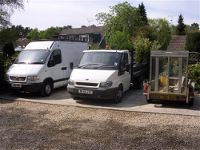 Peter Merriott, Director of the company has been in the industry for more than 29 years and is completely confident that the service we provide is second to none. Peter Merriott is the Director of the company. He spent several years with a reputable building company in AC Smith in Ash. 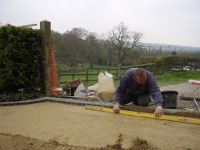 Having achieved many years of experience, in 1989 he started as a sole trader and traded under the name of Peter Merriott Building Contractors until 2005 when the company became limited and has been successfully trading as Merriott Builders Ltd ever since. We are part of Checkatrade - A consumer information service set up to restrict rogue traders and promote honest reliable tradesman in the UK. To see our customers feedback reports click the logo below.